While wills are great to set up for families, if you want to cut through that tiring probate process, a living trust would be the best alternative. With a revocable living trust, you can set conditions of how you want your assets distributed and when you want it done, you can also cut through the probate process since this trust is private and not in the public domain. Also, to ensure your intended recipients get the most out of your gestures, a living trust would help reduce both estate and gift taxes. 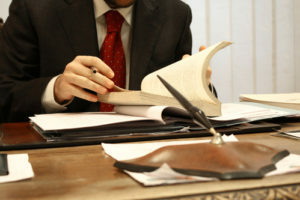 All that’s required is to have this setup by a professional like a revocable living trust attorney in Chula Vista, CA. If you are within the area and would like to hire a professional living trust attorney, our law firm Rawa Law Group has its gate open and a team of exceptional professionals ready to assist you. At Rawa Law Group, you can be sure of 100% satisfaction as our zero initial financial commitment means we only get paid after successfully setting up your trust. Our vast 20 years of existence and relentlessly serving people and businesses in Chula Vista and our team of professionals who are well experienced with over 60 years of collective experience make us the right call. With us, you are sure of your intended beneficiaries getting the assets you leave them and when you choose for it to be released. If you don’t have any trustee in mind, you are at liberty to let us help you with the managerial role effectively handling your trust. Contact us today at Rawa Law Group for a free consultation and we’d be happy to guide you.